Do you have stacks of old prints and slides, and want high-quality scans? Perhaps you lack the budget for a dedicated high-end film scanner? Then consider this Epson model. 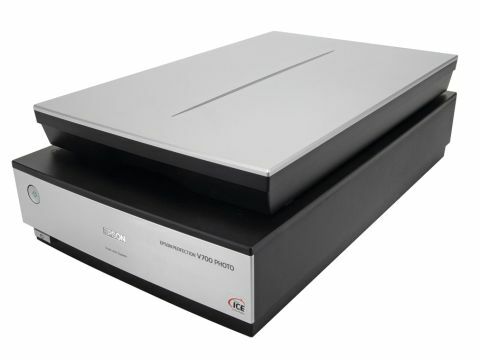 It's a high-quality flatbed that comes with print and slide adaptor frames for volume scanning. The frames are removable so you can also use it for normal A4 scanning. If you don't have the need for professional resolution and automatic image correction, or voluminous amounts of film or slides to scan, the V500 is probably overkill - you'd be better off with the more basic Epson 3590 (£80). In the box is a copy of SilverFast SE, the German photo touch-up software. It's not the fully functioning version - for that you'll need to buy it separately or get the V750 upgrade. Adobe Photoshop Elements 3 is also bundled, as is the EpsonScan software. Between the three apps, everything's covered. The film adaptors and frames include those for 35mm slides and 35mm negative strips, medium- and large-format. The available plate area is A4-sized and you get up to 6400 x 9600dpi resolution. The scan quality is fantastic. Blown up, the JPEGs appeared virtually noise-free. At one time, you can scan 12 slides, 24 frames of 35mm film or two medium format prints. Scans are speedy, too. You get three modes in EpsonScan - Fully Auto, Home, Professional - and negative frames took between 12.7-35 seconds, depending on the quality setting. SilverFast and Elements both have plenty of built-in colour correction palettes and Kodak colour swatches to refer to, but we just exported scans to Photoshop to preen them and take advantage of our custom ICC profile set-up for exporting. What you need in a scan is strong detail (colour can be altered later) and in this regard the V700 was excellent at capturing all the nuances of the image.